In life I’m just a data bloke. 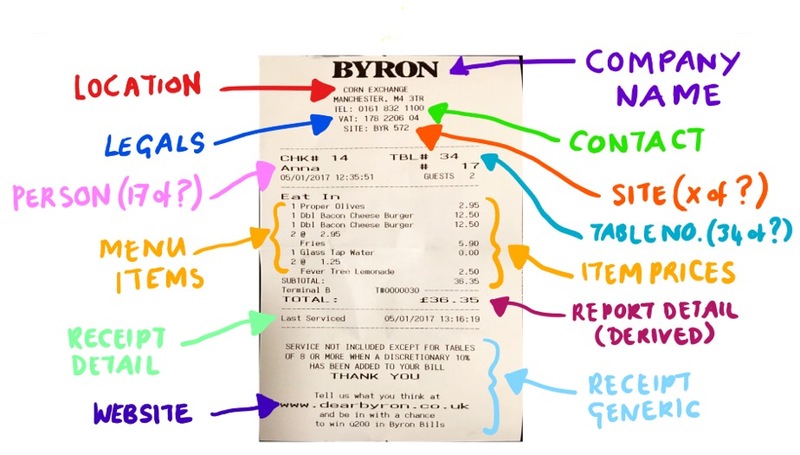 Here are some pictures to explain how I go about Data Modelling. The arrows around the edge hint at lists of data. That is, they start to infer a data model. This excites me. What excites me more is that even small businesses and start-ups are collecting this data. Right now. However, based on conversations I have held with both, they are often unaware of it. For me, what a Data Modeller does is take these lists and combine them in a way that makes the whole greater than the sum of its parts. In short, turns it into money. This is what I do. To illustrate this, here is an example Mind Map. This Mind Map is of my LinkedIn profile which is not as self-serving as it sounds. The approach suggested here is one I used across millions of CVs to turn data into real profit. 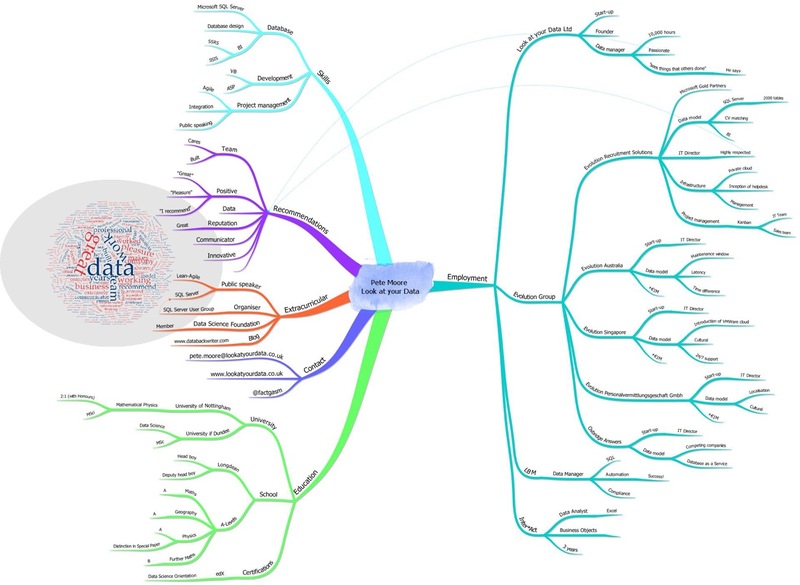 I love Mind Maps because, to me, they take the data that comes from people’s thoughts and drag the structure out.